We’ve always loved camping! But since Oto joined our pack, camping honestly got even better. It’ so much fun having your furry friend by your side – on the towel while reading a book in a shadow, when jumping and swimming in the sea, strolling around seaside cities in a search of a good icecream, on walks and hikes around your chosen vacation destination etc. 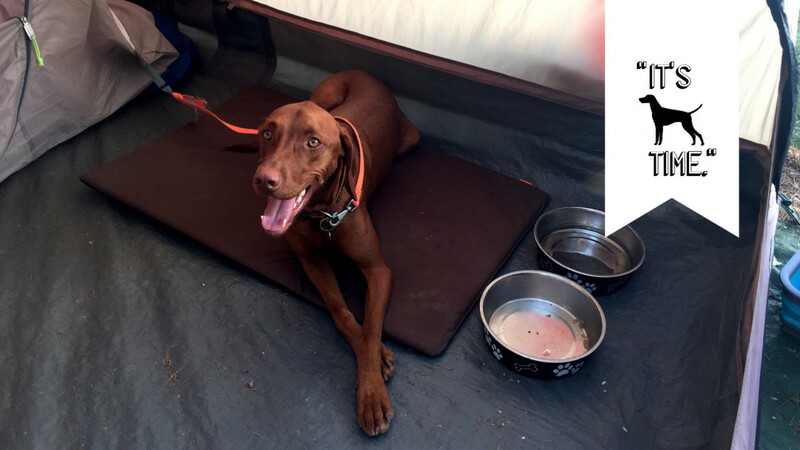 Spending time with our vizsla boy brings us so much joy and camping just might be our favorite kind of vacations. 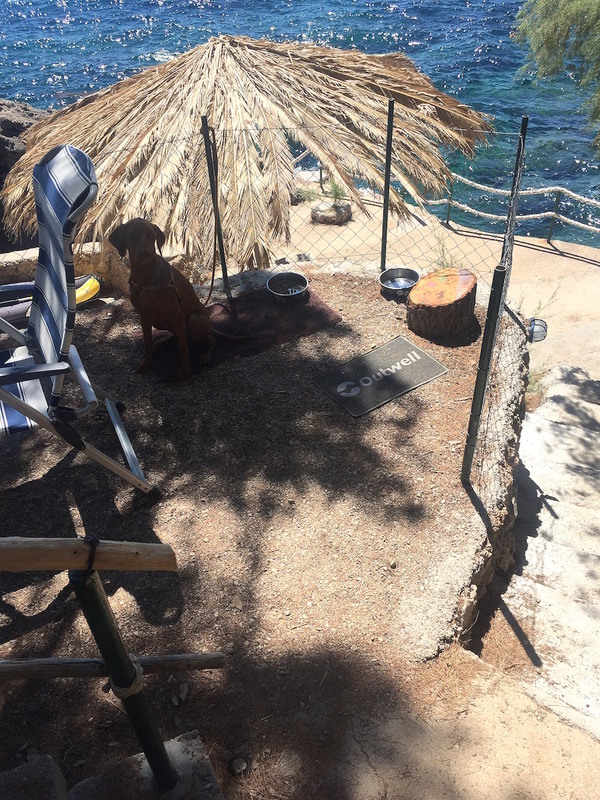 While it’s true all the fun and laughs are making great memories of our time together, there are a few things to consider and think about before going on camping holidays with your dog. Obvious one but can still be tricky – your chosen camping site should be dog-friendly. Not all camps allow dogs in, so do your research and find one where your dog will be welcomed and expect to pay for it too. 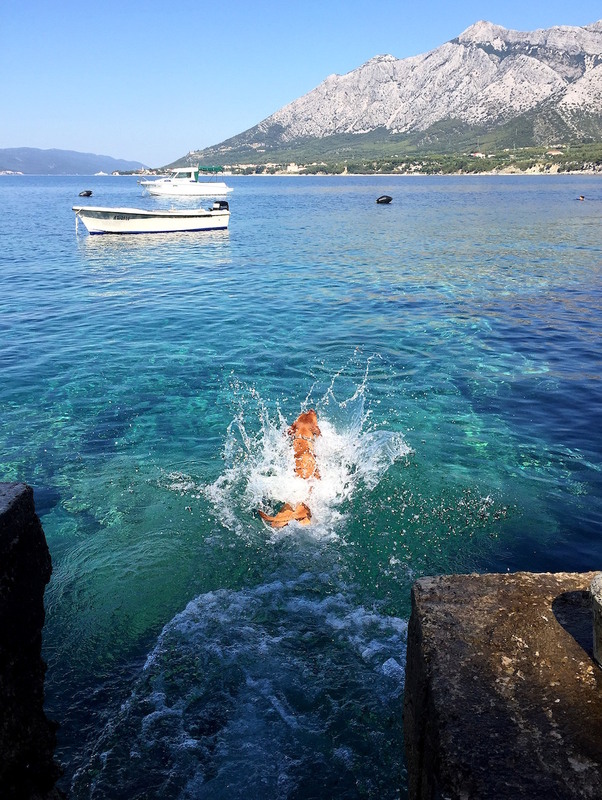 Camps have different rules, but in a dog-friendly sites you will either be able to take your dog to the beach and in the water with you – or the camp will provide a part of the beach for dogs to run around and swim. Besides finding perfect camp for both you and your dog, you might want to also google your chosen destination for near-by veterinary station and pet stores. Just in case your furry friend somehow manages to catch a bee that stings him in the throat (thanks for keeping it interesting, Oto) or if you run out of food, lotion for cleaning his ears etc. A tent or a trailer is not your dog’s home. Even more so if we’re talking camping your dog for the first time or to some camp new. It’s easy for us to adapt and feel like at home after a day or two, but your dog might have more difficulties adjusting. I think that bringing his crate or his bed from home can help, along with some toys and things that have familiar smell and your dog is used to. We did this mistake this time and in a few occasions, Oto felt a bit stressful and insecure – so I should really keep in mind this tip for the next time. I could go on, but I’ll mention only one more thing that’s been bothering us (all) these days. The heat! Ah it was so hot and humid. In a pet-friendly hotel or apartment you might be able to provide air-conditioned space for your dog to rest in, but camping’s just something else. 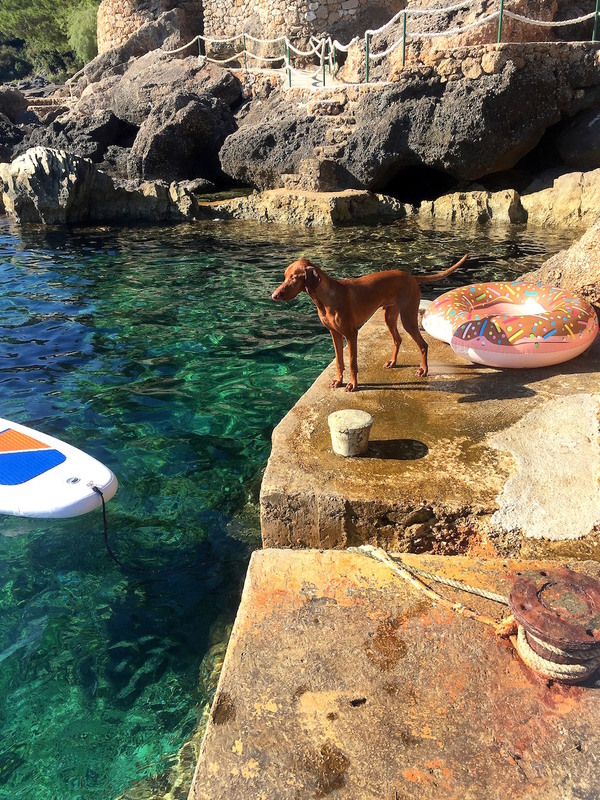 We put our best effort to always provide shadow and fresh water for our tawny tail, plus cooling him down with a few jumps in the sea a day. He needed it – and so did we!